Let us take you on a tour of The Kitchen Table - bakery by day, restaurant by night - with pictures courtesy of Trisha Toh and The Kitchen Table's website. Though it would be ideal to visit the place ourselves, and of course we would if we found ourselves in the Kuala Lumpur area anytime soon, but for now these photographs are more than enough to wet our appetite both for food and this beautiful interior! Their large tables allow for communal eating, such a departure from the restaurants we are used to but it also means a whole new experience of eating and interacting with others. During the day, their backery favourites include soft and chewy chocolate chip cookies and cinnamon buns. Yum! But as dinner time draws near, the table is set and diners enjoy their popular dishes such as buckwheat fried chicken and red snapper ceviche. I live in Malaysia for almost 7 years, and what I love most about the country is the diversity of food. Malaysia is one of the countries to visit if you would like to have a culinary experience. From the gourmet dining to street food, you name it – they have it all. I dare to say you will have a comprehensive gastronomy by visiting this country. But what I love most is to visit dining place in the neighborhood area. They are normally more intimate, cozy and less commercial. 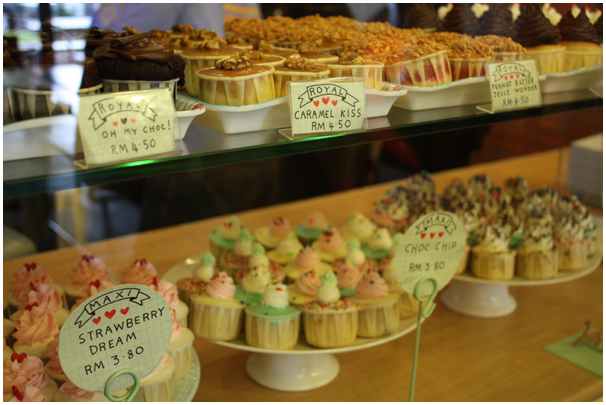 Recently I went to dine in the very sweet lifestyle cafe nested in the fast growing area in the suburb of Kuala Lumpur. And I think this place is worth to share and to visit (if you live/or ever visit Kuala Lumpur). Once I entered Poco, I immediately feel the heavy influence of Zakka , it is well said at the name board too. Along with the Zakka concept, the cafe is well displayed with many everyday objects. I love the cozy atmosphere instantly; the light blue and white colors is dominated the interior of the place, makes it look very cohesive. The imperfection and mix matching objects in every corners trigger my curiosity to explore more. It is true enough most of the diners were fascinated and busy to take photos to have sweet memories with the place, including me. Actually Poco was started small quite sometimes ago in Bangsar area, founded by young couple. Now they are expanding the wings into bigger place. I believe when independent entrepreneurs maintain their authenticity they will have loyal customers. They are serving home cooking of fusion Japanese food with additional of few local delicacies to choose from the menu. The presentation is pretty too, they event takes time to fold the serving napkins into Origami Japanese style. I love the fact that they also consider details into their presentation. 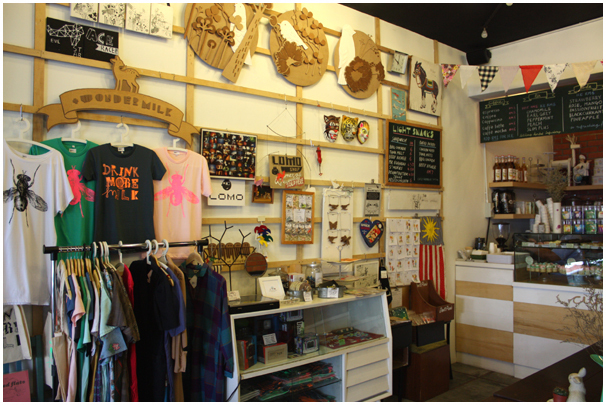 As expected in the most of the homemade concept of life style café/restaurant, they normally have a small space to display handmade items. 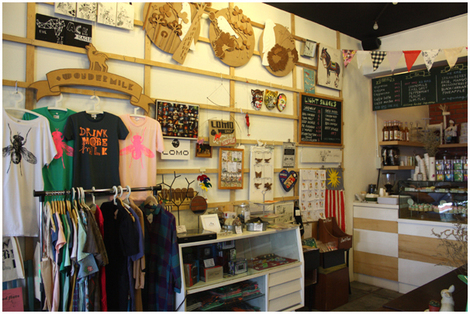 I also find few handmade items here from various local artist sold at nearby the cashier counter. 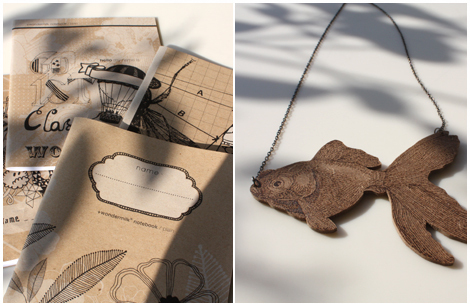 Not many choices at the moment, few printed items, handmade journal and jewelry. Hopefully they will add more in the future. This place is one of the places that gave me a holistic experience to dine, left me feel inspired and want to share about it. I hope you enjoy reading it too. Thank you dear Fenny from F for Fabulous.